Have you encountered difficulties repairing or tinkering with your devices because of technology that stops you from figuring out how it works? EFF wants your stories so that we can defend your right to get around those roadblocks. We want to hear about your experiences with anything that has a software component, from the Internet of Things, to vehicles, to Smart TVs, to appliances… anything you can think of. 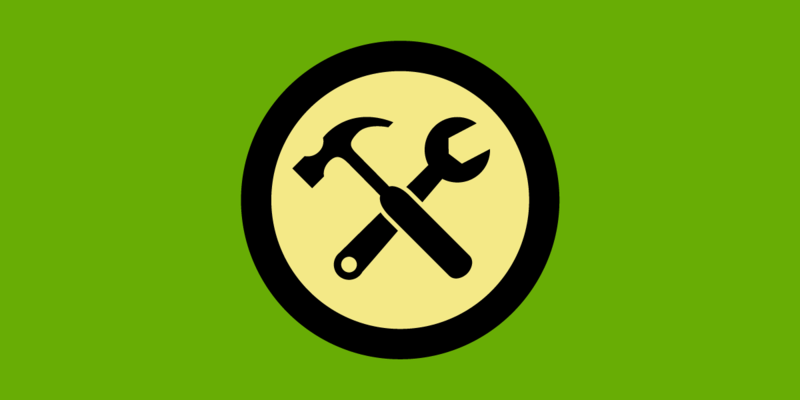 We think you should have the right to repair, inspect, and reprogram the devices you rely on. We’re taking an especially close look at new devices that can listen to what goes on in your home, like the Amazon Echo, Google Home, and the Apple HomePod. Section 1201 of the Digital Millennium Copyright Act (DMCA 1201) gives device manufacturers a legal tool to keep you from understanding and modifying the things you buy. While DMCA 1201’s stated goal was to prevent copyright infringement by punishing people for breaking the technological mechanisms companies put on their material to protect it, the law has been used against artists, researchers, technicians, and users, even when the reasons why they were trying to circumvent digital locks were completely lawful. That “gotcha” situation, where using material is legal but access to the material is restricted, is one of the reasons the law is so flawed. The law poses an unconstitutional restriction on an entire range of speech that relies on access to copyrighted works or describes flaws in access controls—even where that speech is clearly noninfringing. Another major flaw is that the law, written almost 20 years ago, was initially meant to apply to copyrighted material like music, movies, and books locked down by DRM (digital rights management software that restricts access). But as more pieces of technology come with computerized components, software covered by the law runs on more and more devices we use every day—from tractors to microwaves—so opening up something you bought and own in order to fix it can be a violation. Once every three years, there’s a window of opportunity to get exemptions to this law and protect legitimate uses of copyrighted works, like repairing and tinkering. For 2018, we’re seeking a number of exemptions, and we need your help. It would be especially valuable to hear your stories about attempted repairs, modifications, jailbreaking, and so on that have been hindered by the ban on circumvention. If you have a project you would not be able to do because of the ban on circumvention, or if you’ve been otherwise directly affected by DMCA 1201’s ban on accessing code in your devices, send us a few sentences describing what you were trying to do and how access controls got in the way. We’re going to be presenting evidence to the Copyright Office on why these exemptions are needed, and your stories are a part of that. You can make your voice part of this effort by emailing us at dmcastories@eff.org, and we’ll curate those stories so we can present the most relevant ones alongside our arguments to the Copyright Office. The comments we submit will become a matter of public record, but we will not include your email address. Please sign your message with your name and town of residence, or “Anonymous” if you prefer. If you do not include a name after your message and we submit it, we will attribute it to “Anonymous” as well. This is a team effort. The last time around, we were focused on cars, and heard some great stories from you about repair problems and creative modifications that helped the Copyright Office understand the human impact of this law. Now we’re interested in all devices. Help us fight for your rights once again!